German cinema from 1927 to 1945 was affected drastically by the political environment that grew within the nation. After Germany suffered drastically at the hands of the Versailles treaty and its reparations clause, Adolph Hitler, the Fuhrer of Nazi Germany, and the Nazi Party ascended to power, preaching unity and the rise of a new order. Their guidance of the economy away from extreme inflation and starvation won the people over to their side. With them, they brought forth an iron fist of control and regulation that affected every aspect of German culture, including the cinema. With the Ministry of Propaganda led by Joseph Goebbels, developing as the controlling force of German cinema, propaganda became a major thematic element of the films produced in this period, always favoring and advocating the Nazi party. 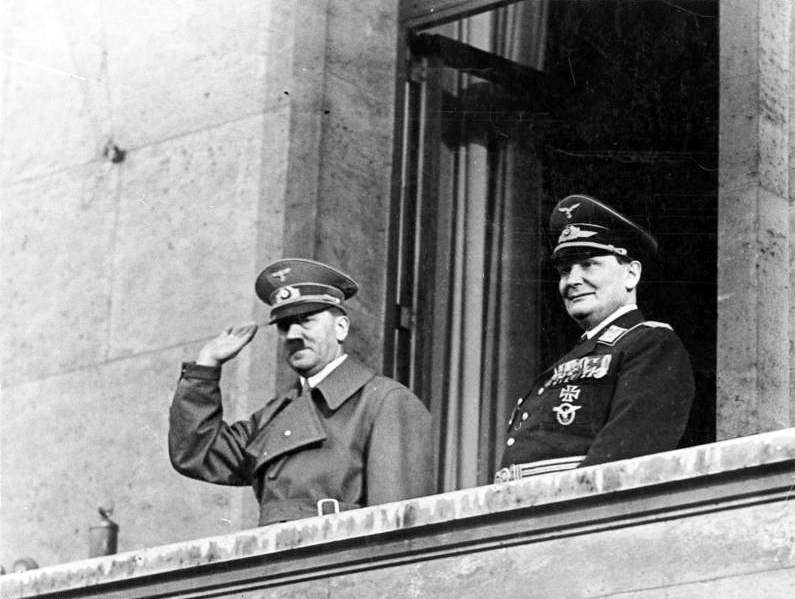 Hitler, an early fan of the cinema, saw its true power and the scope of influence it had. Metropolis (Fritz Lang, 1927) and Triumph des Willens (Leni Riefenstahl, 1934), two important German films separated by almost a decade, reflect very different feelings of nationalism and revolution as a result of different historical and cultural pressures. One is reflection of society’s desire to break class ranks and seek equality within a fascist state. Seven years later, the other is a representation of the same society in the previous film, bound by the same constraints and attempting to hide this fact behind a false propaganda front of volatile nationalism. Lang’s masterpiece focuses on an oppressed lower class that rises to rebellion through the inspiration of one individual. Riefenstahl’s Triumph des Willens, however, is a propaganda piece about German society fighting outside international oppression and rebuilding itself to a world power under the guidance of “their hero,” Adolph Hitler. When compared to one another, Triumph des Willens is easily seen as a propaganda reinvention of Metropolis through the eyes of Hitler, envisioning himself as the hero of his people but really representing every ideal the original Metropolis stood against. First of all, the two films have a major connection: Hitler. “Hitler was a movie fan; he cultivated friendships with actors and filmmakers and often screened films as after-dinner entertainment. Even more fascinated with the cinema was his powerful Minister of Propaganda, Dr. Josef Goebbels, who controlled the arts during the Nazi Era. Goebbels watched films every day and socialized with filmmakers” (Bordwell, 307). Adolf Hitler and Hermann Göring, March 1938. Two of the most influential men in the Nazi Party both loved movies and understood their true propaganda power. “Despite his hatred of communism, Goebbels admired Eisenstein’s Potemkin for its powerful propaganda, and he hoped to create an equally vivid cinema expressing Nazi ideas” (Bordwell, 307). “The propaganda minister (Goebbels) told the director (Lang) that the Fuhrer was one of his most avid fans. The Fuhrer had ‘loved’ Metropolis, which he had seen at a low point in his career, and of course Die Nibelungen, too whose majesty had apparently caused the Nazi leader to break down and weep. Lang quoted Goebbels quoting Hitler: ‘Here is a man who will give us great Nazi films.’ Hitler, in short, wanted Lang to serve as the head of a new agency supervising motion picture production in the Third Reich. He would become the Nazi’s Fuhrer of film” (McGilligan, 175). Hitler’s admiration and regard of Lang was so high, in fact, that through Joseph Goebbels, he invited Lang to become the lead producer and studio head of films in Germany in 1933. He was Hitler’s first choice for studio head because Lang’s films, especially Metropolis, embodied the ideas that Hitler wished to use within his propaganda campaign in order to promote himself and the Nazi party. Lang, fearing his life since his mother was Jewish, fled to America, loathing every ideal that Hitler represented. Oddly enough, later that year, Riefenstahl, through the careful “Executive Producer” guidance of Hitler, made Triumph des Willens, his vision of a real life Metropolis. The parallels between the films stretch from plot to message though the latter film is a façade, an allusion of reality carefully crafted and manipulated to allure its viewers and coax them with false ideals and promises. One of the major similarities of the two films is the idea of the hero, the sole individual that stands apart from the masses, offering hope and preaching equality. In Metropolis, this is Maria, the animated blonde played by Brigitte Helm, who unlike the bald, drone workers, stands out. Where the viewer is unable to separate the workers and registers them more as one mass than as actual individuals, Maria jumps to the forefront, captivating the viewer in every scene. Lang films her scenes in such a manner that she comes across as this larger than life figure as opposed to the indistinguishable masses that surround her. In this manner, she becomes the heroine, leading the oppressed and mistreated in a revolution of hope. In Triumph des Willens, Riefenstahl’s crafts the film in such a manner to bring Hitler to the forefront in a similar manner. Using low camera angles and extenuated lighting, Riefenstahl ensures that the audience is drawn to Hitler, attempting to manipulate them into believing he is a hero of a similar caliber. “Hitler’s stage bravura performance as Hitler slightly edges out Chaplin’s as Adenoid Hinkel in The Great Dictator. While delivering his long and emotionally complex speech to the massive stadium crowd, he hardly ever appears in the same shot as they do. That is because his cyclonic rages and hurricane eyes of benevolence, lit glamorously by the director in medium shot, could be edited against any crowd or character cutaway that seemed relevant so that the track elements – the roar and applause of the crowd – could be manipulated in the editing room” (Triumph des Willens, 1934 – DVD leaflet). Besides his outlandish performance, Hitler also attempted to manipulate his appearance in order to stand out. Where his subordinates wore ornate military outfits and multiple gaudy medals, Hitler wore a plain uniform with a single medal, his Iron Cross from WWI. He did this to set himself apart and come across as a man of the people. In Metropolis, Maria’s hair, attitude, and appearance set her apart from the masses, and Hitler’s attitude and dress along with Riefenstahl’s photography of him have a similar purpose. Bachmann, Holger, and Michael Minden. Fritz Lang’s Metropolis: Cinematic Visions of Technology and Fear. New York: Camden House, 2000. Bordwell, David and Kristin Thompson. Film History: An Introduction. New York: McGraw – Hill, Inc., 1994. McGilligan, Patrick. Fritz Lang: The Nature of the Beast, a Biography. New York: St. Martin’s Press, 1997. Metropolis. Fritz Lang (director), Erich Pommer (producer), and Fritz Lang and Thea von Harbou (writers). DVD. Universum Film A.G. (UFA), 1927.